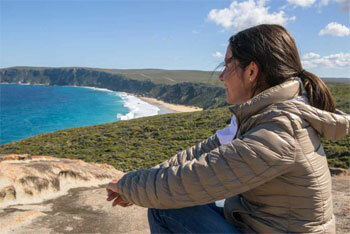 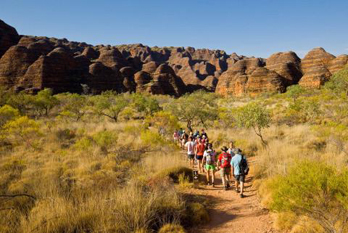 This 3 day Darwin to Alice Springs adventure tour brings you from Australia's Top End to the Red Centre. 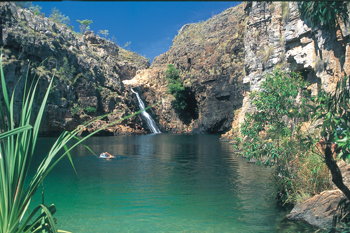 You will have the opportunity to paddle along the peaceful waters of Katherine Gorge, soak in the Mataranka Thermal Pools, stop for a cold drink at the historic Daly Waters Pub (home of Australia�s first international airport!) 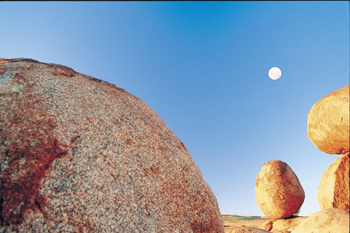 and explore the precariously balanced Devils Marbles. 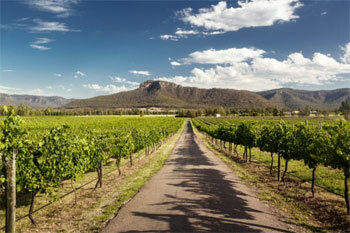 This tour also travels in the the opposite direction - check out our Alice Springs to Darwin Dreaming Tour. 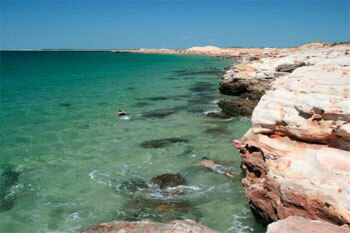 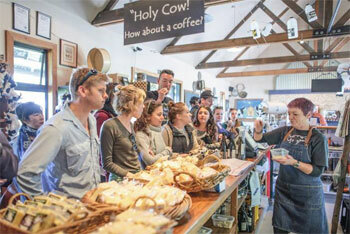 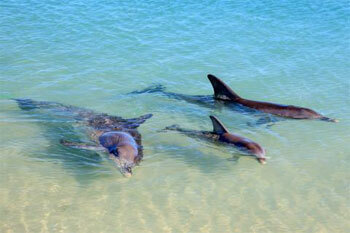 This tour is part of our Darwin to Alice Springs packages. 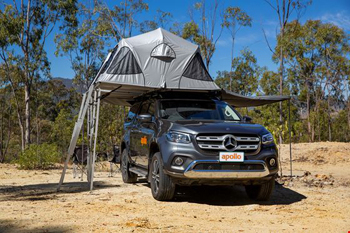 We depart from Darwin at approximately 6.00am and then our adventure through the �Territory� to Alice Springs begins. 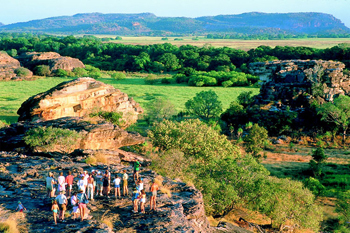 The afternoon is spent at Nitmiluk (Katherine Gorge) National Park which is owned by the Jawoyn Aboriginal people. 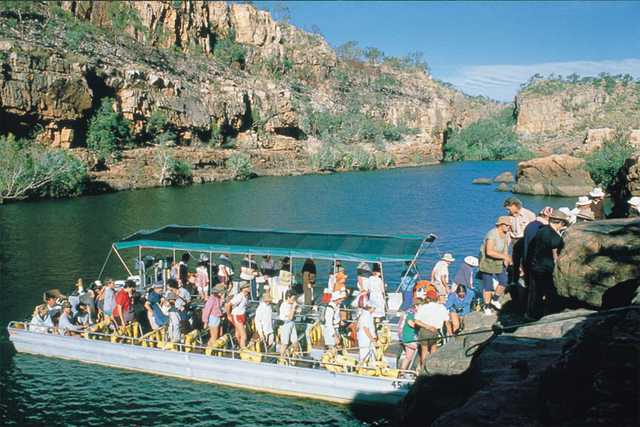 Ancient sandstone has been carved away by the Katherine River to create a deep and picturesque gorge. 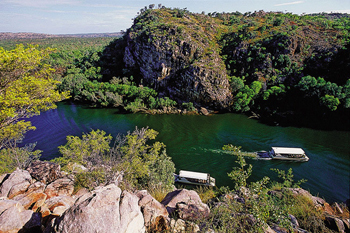 You may like to take a boat cruise or paddle a canoe (seasonal) through the peaceful water or a breathtaking scenic flight over the Gorge (all optional and at additional cost) before retiring to our campsite nearby. 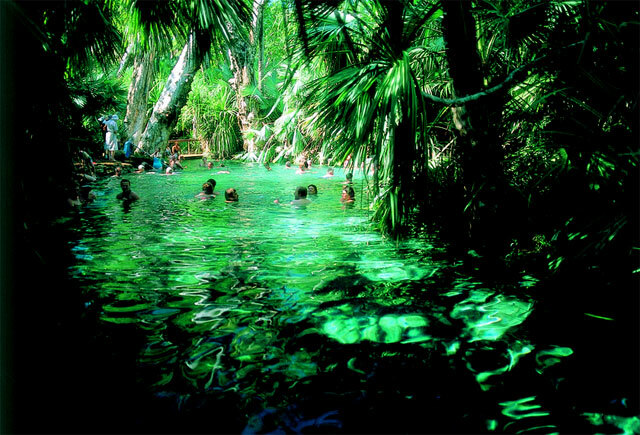 A great start to the day is a soak in the Mataranka Thermal Pools, a lush oasis fringed by paperbark trees. 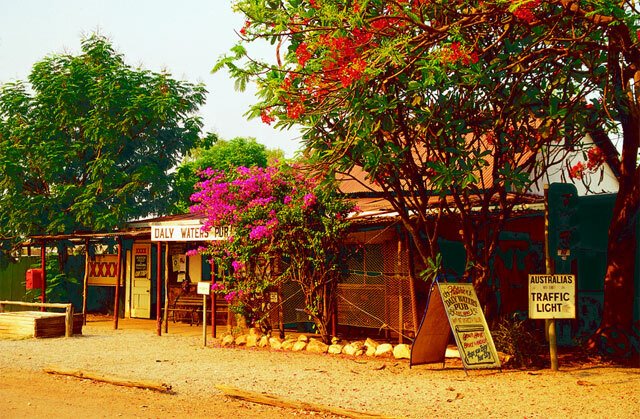 No trip to the �Territory� is complete without a visit to the Daly Waters Pub, an important watering hole for explorers and drovers in days gone by and now a great spot for a cold beer, a bit of history and a �fair dinkum outback experience�! 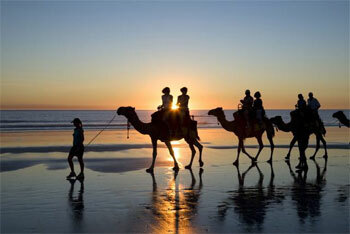 Our day winds to a close at historic Banka Banka Cattle Station where we camp for the night.